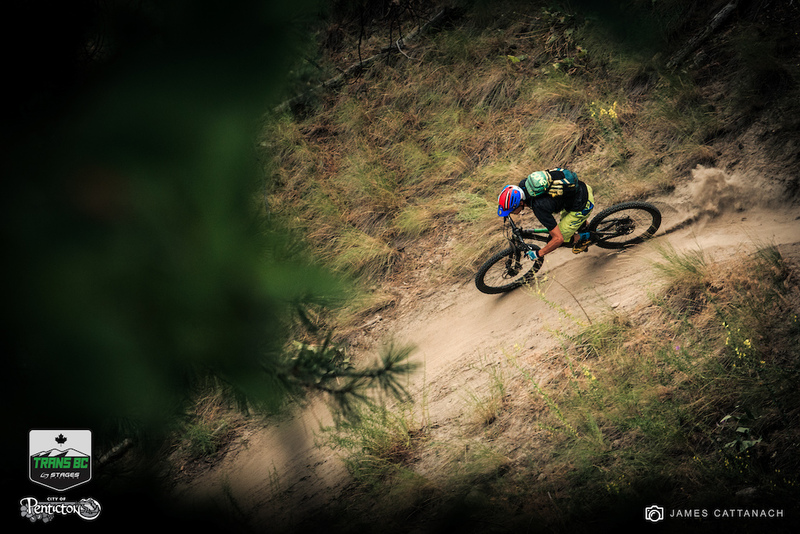 Day 2 of the Trans BC Enduro powered by Stages Cycling transported racers down valley to Penticton, B.C., a quaint locals town in the very northern hip of the Sonoran Desert. 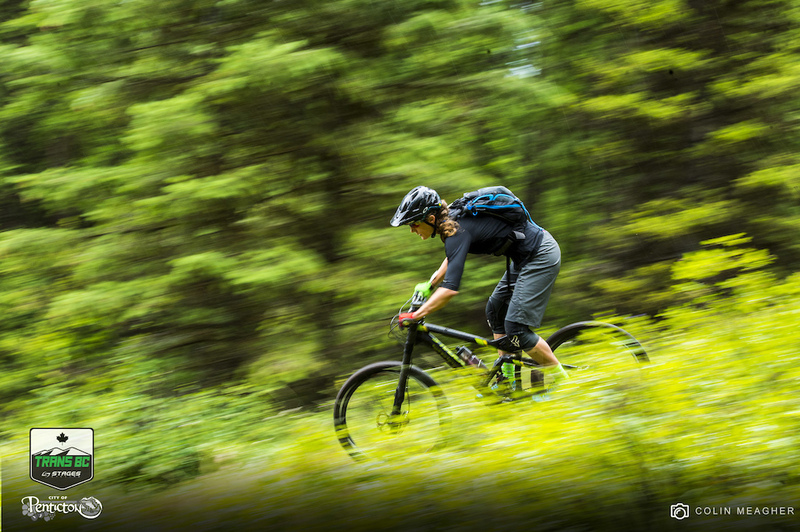 Filled with a myriad of eco-systems, the Sonoran Desert runs the length of North American from Mexico to British Columbia, and in the Okanagan Valley, this creates the perfect location for mountain biking, wineries and water sports to converge. 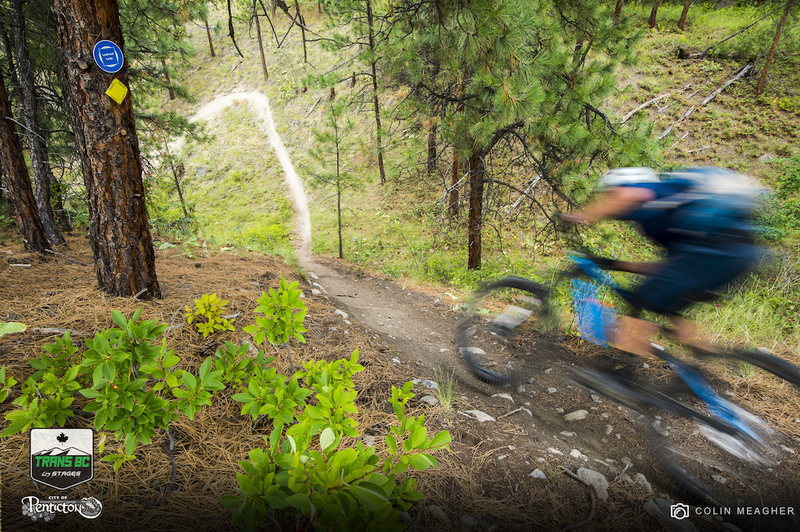 While locals rejoiced in the unseasonal rainy conditions in the semi-arid climate, riders who were not accustomed to slippery slabs of rock and crafty chicanes, found the conditions challenging and deceptive in the Three Blind Mice trail network— the primary and oldest trail system in the area housing over 100 different trails. The exposed rock is a byproduct of glacial scraping from over 10,000 years ago. The ancient granite, also known as gneiss, has been through a few volcanic cycles, giving the rock its grippy, pitted surface. This process also abandoned huge jesus boulders, also known as glacial erratics, sporadically throughout the forest. 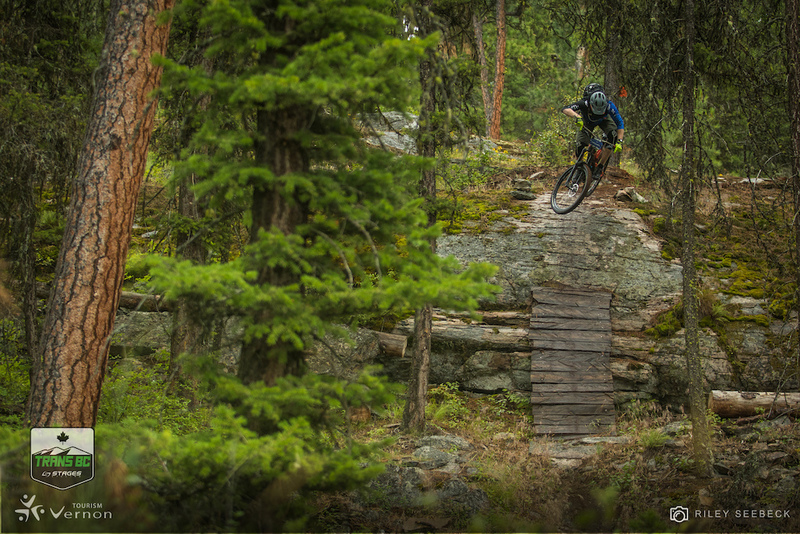 Stage 1 sent riders down Beer Run, a local trail littered with wooden features and lichen covered rocks. The additional moisture made every move an option to gain a few seconds or potentially skid off into jagged rocks overlaid by ground vegetation. 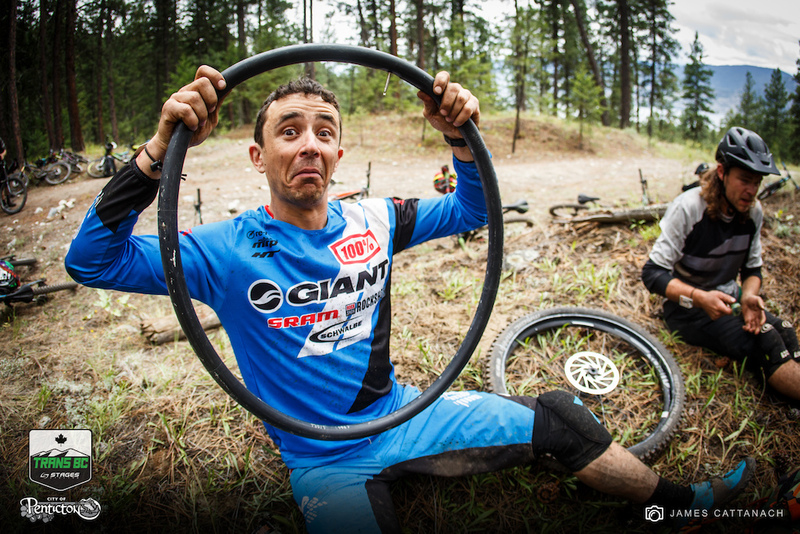 After sitting in second after Day 1, and less than 9 seconds to close the gap, Aaron Bradford, Open Men (Seattle, Wash.) hemorrhaged 50 seconds after he punctured his tire minutes into the first stage. The steady drizzle eventually dwindled down to an evaporating mist, however, it left Stage 3 an icy scape of rocky moves. One feature, in particular, caught many racers off-guard as they committed to a short, slanted step-up. Mical Dyck, Open Women (Victoria, B.C.) may have been one of the few to avoid sliding out, but even at that, she found herself pointed in the wrong direction on top of the rock. 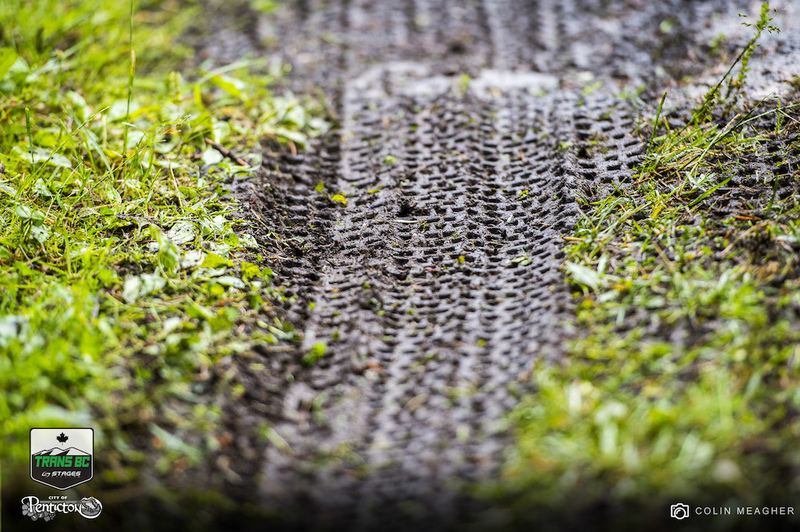 “I’m fairly comfortable on the wet roots and rocks from my experience racing cyclocross and cross country, but when it comes to slick wood, I am out of my comfort zone unless I have ridden a feature before,” Dyck said about Stages 1 and 2. Although 85 percent of the field admitted to crashing at one point or another on Stage 3, spirits were lifted at the feed station with 15kg of sizzling bacon, served up by Shaun Gratton who sits on the executive and trail committee of Penticton and Area Cycling Association (PACA). “I tried to take this year off, and due to the high demand, I’m here instead of at work,” Gratton said. 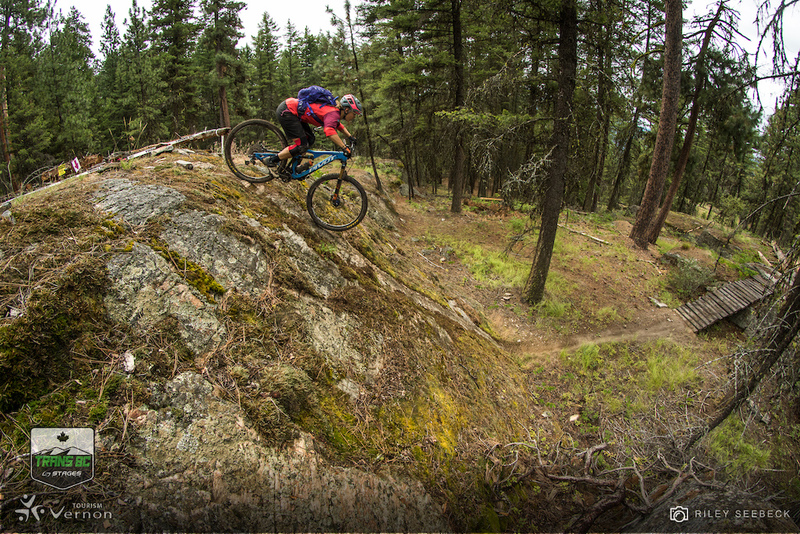 “It’s awesome have this many like-minded people hanging out and experiencing our trails.” PACA was formed in 2008 with a goal of providing the south-central Okanagan with a voice for cyclists. 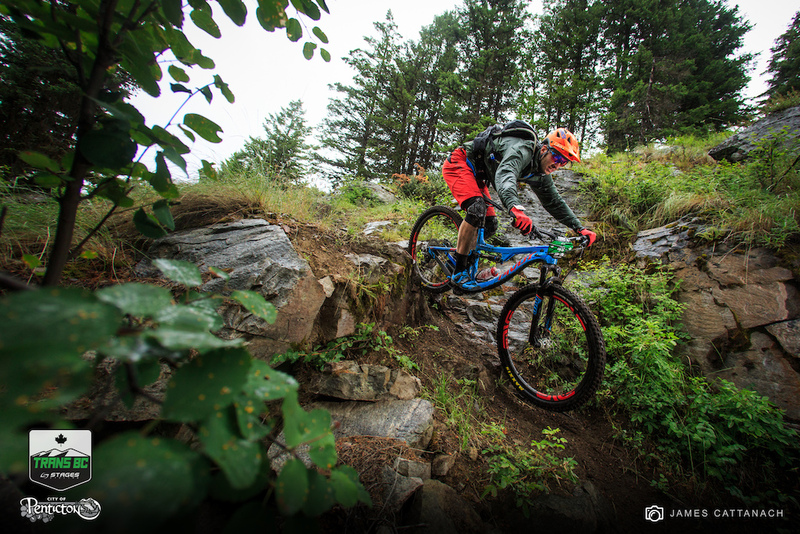 They have evolved to become the prominent force in both on and off-road trail design, maintenance and planning. The longest transfer still lingered between Stages 5 and 6. Because the trails go every direction, the trail network was named after the story of three blind mice running all over the place away from the farmer’s wife. The final two stages of the day were the most mischievous and rowdy, but as the day wore on and the rocks dried, fatigue set in on the seemingly infinite route totaling 39km, 1350m of climbing, and 1933m of descending. 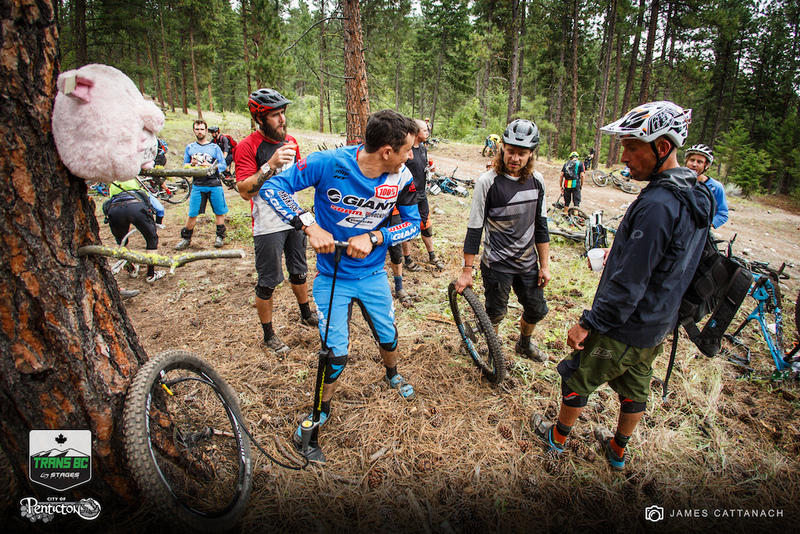 “I hung around a key location between Stages 4, 5 and 6 to make sure everyone was okay. 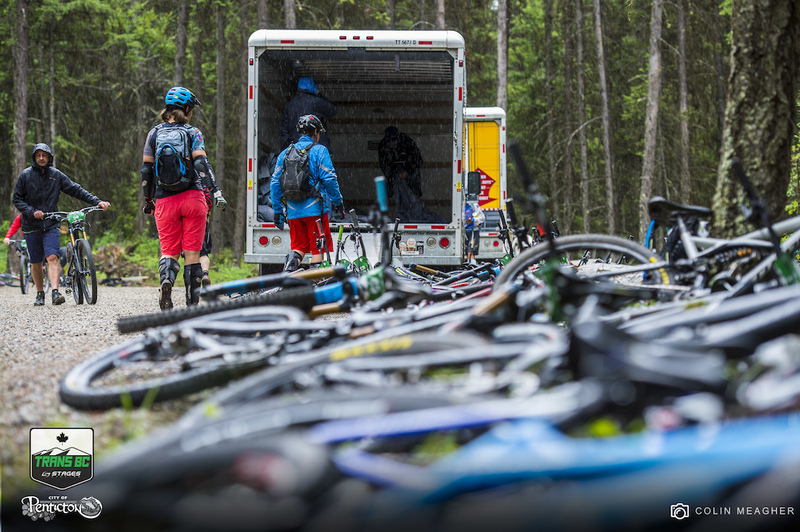 And then I got to rip Stage 7, the gnarly rocks up top, and the sweeping moon dust corners right as the rain settled back in,” said Tara Wamsley (Calgary, Alta.) who wore three hats the past two days as volunteer medic, marshal and mechanic. 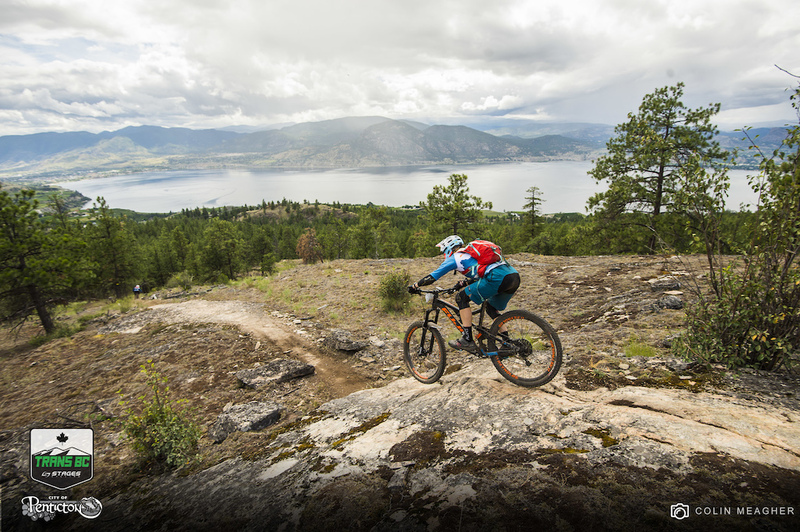 The conclusion of the final stage popped racers out of the “mousterpiece” like a pinball, ending with an expansive view of vineyards as far as they eye could see, up and down Lake Okanagan. 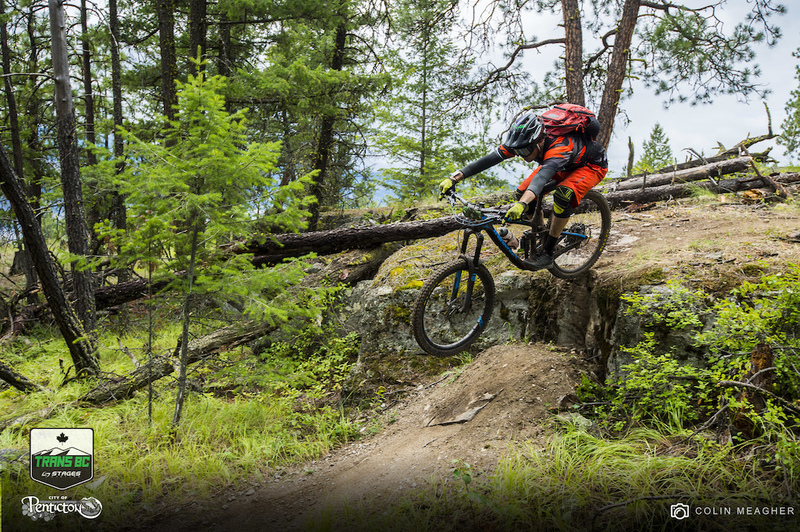 At only 100km from the U.S. border, Penticton is a quick escape to enjoy the fruits of PACA’s labor. Day 3 brings yet another moving day to Rossland, B.C. for a two nights stay in plush accommodations at the base of Red Mountain Resort. 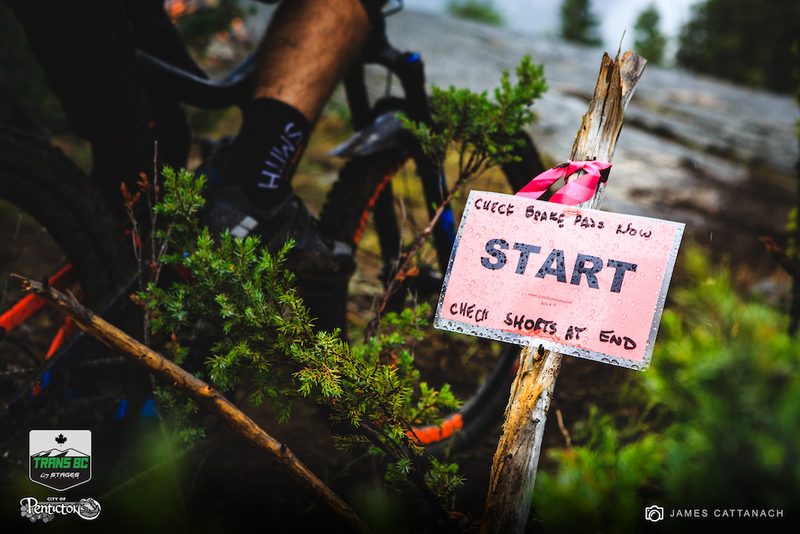 With three massive liaisons, and four stages that begin on the north end of the Seven Summits, an extra adventure including snow on course may be in store for riders shortly after they drop into the first saddle. Stay tuned to regular updates on Facebook and Instagram and core online media outlets throughout the week. 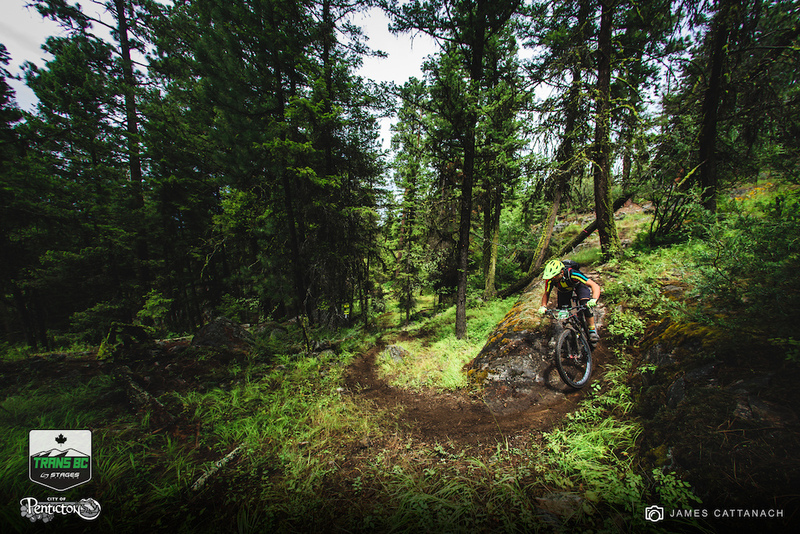 Hashtag your photos #transbcenduro to make their way onto the live stream of the Trans BC’s Media HQ. 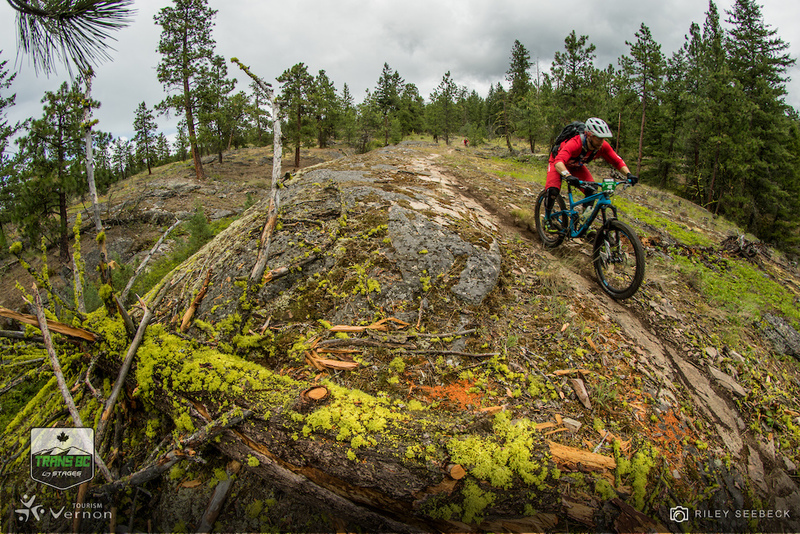 A special thanks to Penticton and Area Cycling Association and Penticton and Wine Country for supporting the Trans BC Enduro in Penticton, B.C. 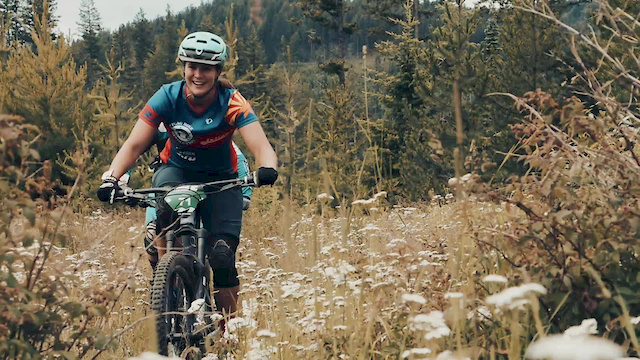 For more information email megan@ridingbc.com or visit www.transbcenduro.com. About Stages Cycling— Stages Cycling LLC, based in Boulder, CO, launched the Stages Power meter at Interbike in September 2012. 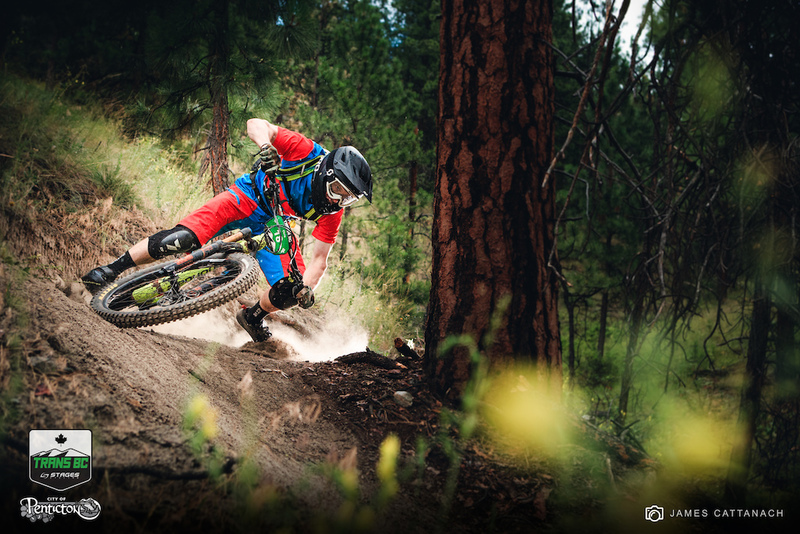 The new Stages Power meter immediately made waves for the power measurement category in all disciplines of cycling, including enduro, where the sport's top pros collect and trust its data for training and racing. Since the brand has expanded into the commercial and home fitness category with the SC3 commercial indoor cycling bike, with groundbreaking features including: CarbonGlyde featuring Gates CarbonDrive, SprintShift, FitLoc, RoadBar and, of course, the Stages Power meter. More information at stagescycling.com. Amazing day again in spite of the rain. On an even higher note, after all the mechanicals and flats today, I found not a single tube left anywhere on the trail. You guys packed everything out you brought in, excellent work!!! 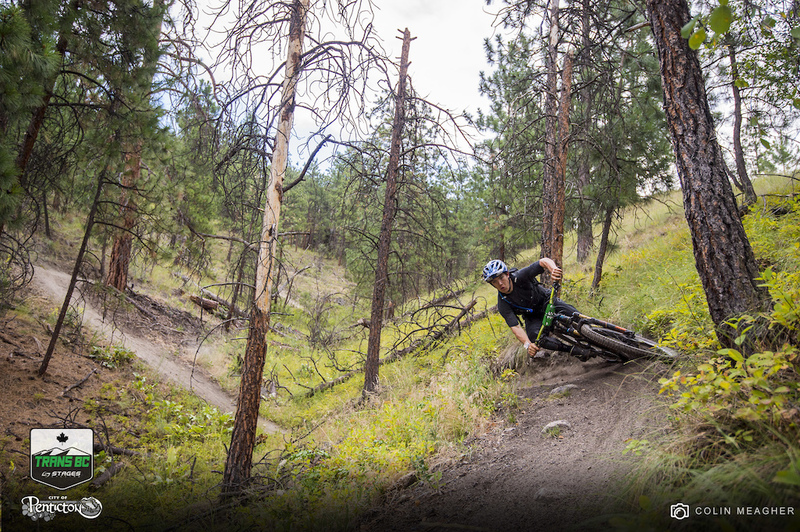 Trails in the area brought to you by PACA (Penticton Area Cycling Association). A huge network in the South Okanagan. 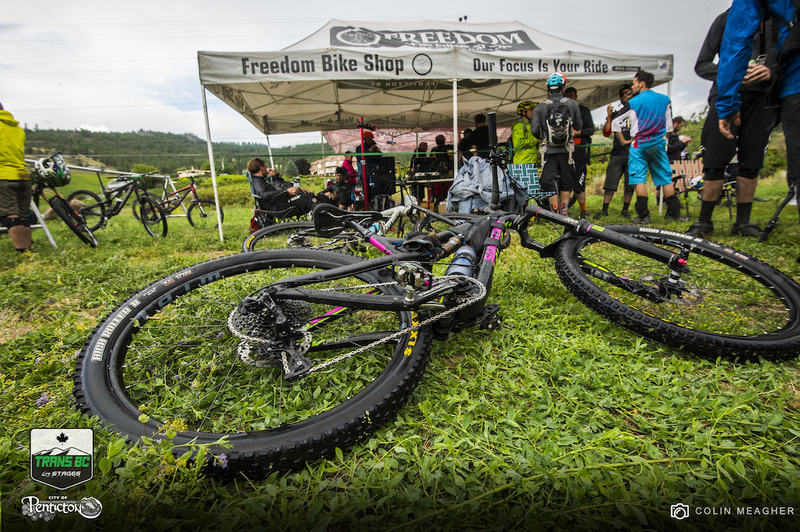 Good times brought by Freedom Bike Shop. 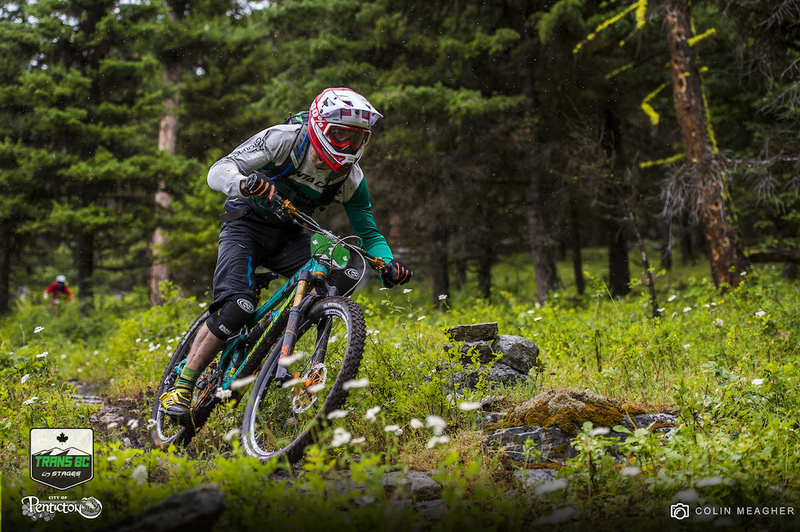 Love seeing the Okanagan get some good media coverage and some great races in the last couple years. 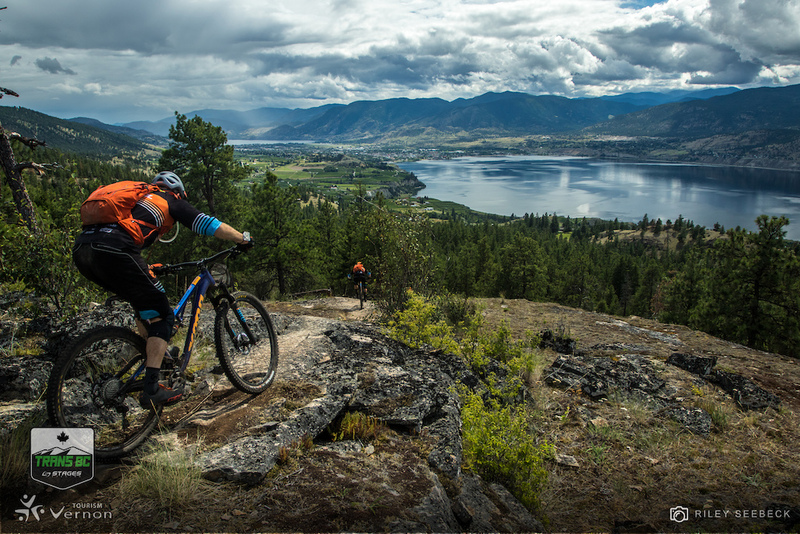 I live and ride in the Okanagan and love it. Hope all of the competitors have a good experience and come back and visit. 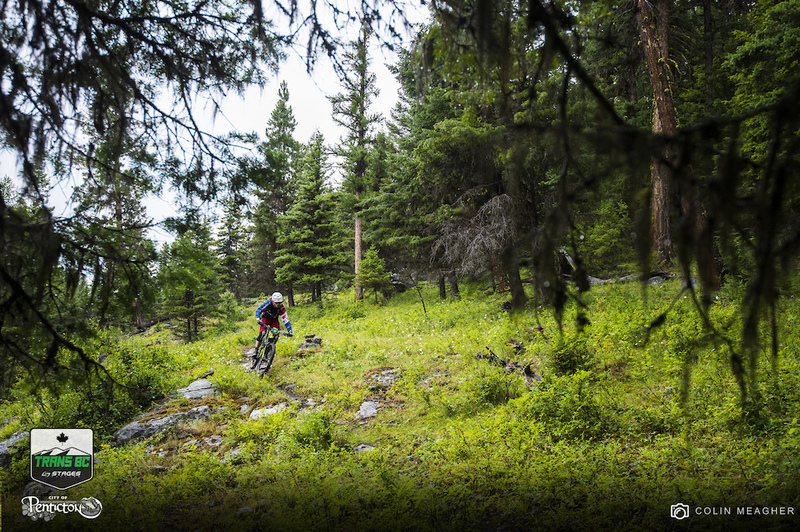 This race series is only the tip of the trail iceberg. Locals love the rain! BTW the three blind mice were Raman, Pat and James that's where the name comes from. Awesome event. Go Team Brah! 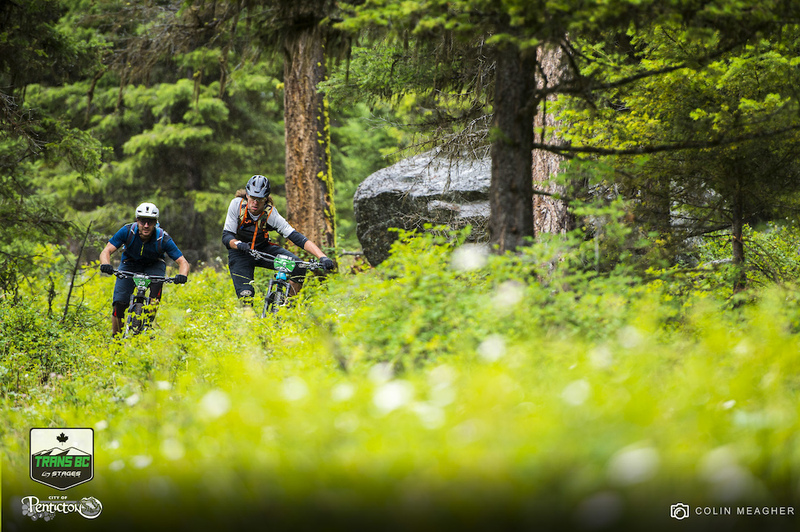 LOL we just did this trail last week during my buddies week long bike-chelor party ! awesome place we were hooting and hollering from top to bottom ! The mice are awesome! So if Freedome Bike Shop! I thought it didn't rain in the Okanagan! Right on to Team Brah!